Part of her amazing mail was three gorgeous Barry Ms that were on my wish list and once I had them all together, they just screamed, "MARBLE ME!" So who was I to ignore that? The three polishes were Mint Green, Berry Ice Cream and Indigo. If you look closely you may notice that, starting with my thumb, each finger gets progressively lighter. What is this sorcery?? 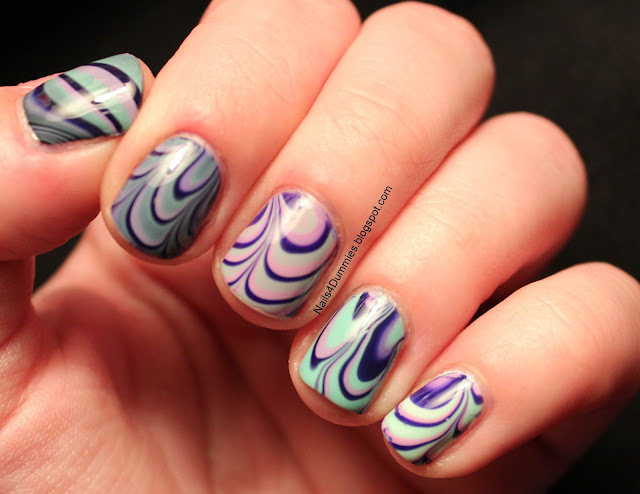 Well, I usually use white undies under my marbles so I wanted to know what would happen if I used some other polishes and this is it! For my thumb I used Sally Hansen Hard As Nails - Black Heart. The index finger is the Barry M - Indigo, the middle finger is Berry Ice Cream, the ring finger is the Mint Green and my pinky is OPI Alpine Snow! I thought it was pretty cool how it turned out, what do you think? Woah! 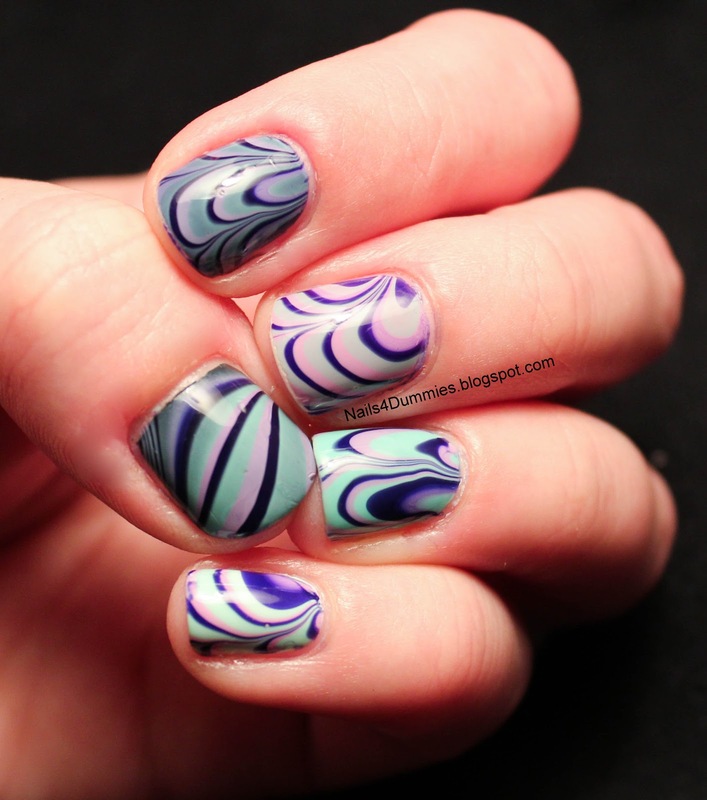 Your water marble is AH-MAZING!!!!!! Also, I've nominated you for the Liebster award, so check out my latest blog post for the details! Ooooo! Those came out NICE! 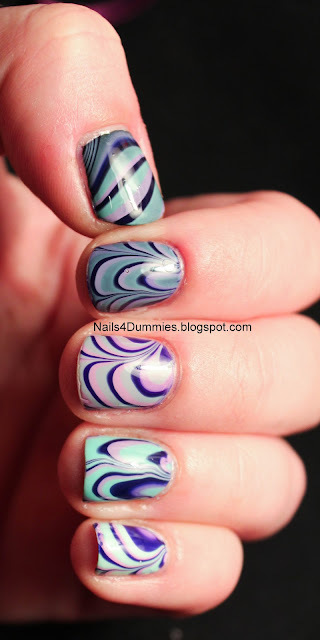 Jeally of your water marble skills - love!